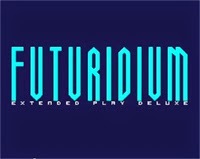 Want a chance to win a copy of Futuridium for your Vita or PS4? Got a US PSN account? Read on and be out lucky reader. The winner of this code will receive a download for the soundtrack, as well! Remember, only US accounts only. Winner will be notified in the comments section by the end of the week. "End of the week" means Friday the 3rd. Comment below with why you should win this game!